Tie dye isn't just for t-shirts anymore, and the quilters have gotten on the tie-dye-wagon, too! 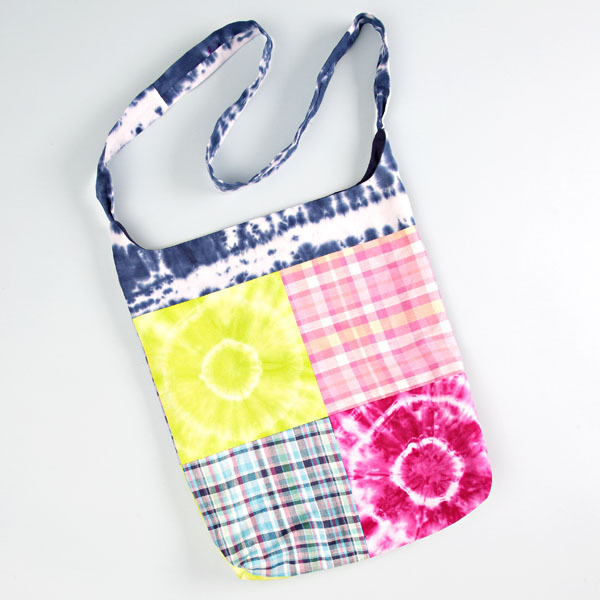 These blocks of tie dye are really cute when they're sewn with blocks of plaid fabric. This is a bag you'll want to make duplicates of, so you can share with your friends. It's the perfect size for books, or a fun day at the beach. You can go over to iLoveToCreate and pick up your dye and all the details.